American fans of the British made DOCTOR WHO television series will gladly testify that there are some great sci-fi stories being produced by studios outside of Hollywood. THE QUIET HOUR is a great example of this. Produced by the United Kingdom's Frenzy Films and shot at locations in Tipperary, Ireland this movie has received praise from audiences and critics at film festivals across the world. 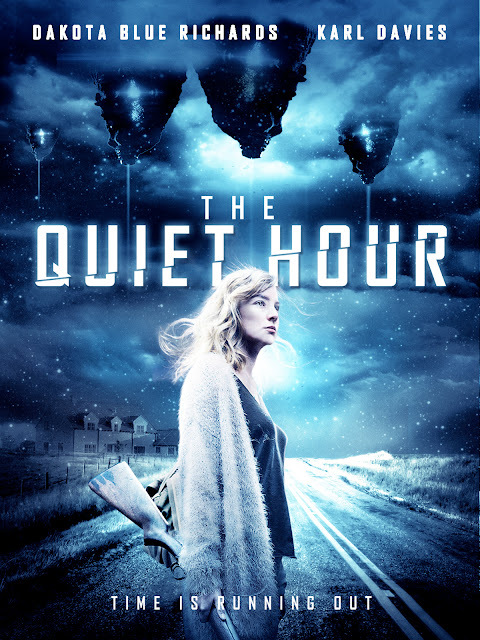 After being shown on Sky Cinema, a premium cable channel similar to HBO that is available in the UK, THE QUIET HOUR is now available for science fiction fans in North America to view on all major video on demand (VOD) platforms and will be available on DVD beginning March 21, 2017 at retail outlets including Best Buy, Target and Walmart. In THE QUIET HOUR, humans are few and far between since Earth was invaded by unseen extraterrestrial machines that harvest the planet's natural resources and relentlessly kill its inhabitants. In a remote part of the countryside, where starved humans have become as dangerous as the alien machines hovering in the sky, a feisty 19 year old girl, Sarah Connolly, sets out on a desperate attempt to fight back a group of bandits and defend her parents' farm, their remaining livestock, and the solar panels that keep them safe from extraterrestrials. If she doesn't succeed, she will lose her only source of food and shelter; but if she resists, she and her helpless blind sibling will be killed. And if the mysterious intruder dressed like a soldier who claims he can help them turns out to be a liar, then the enemy may already be in the house. 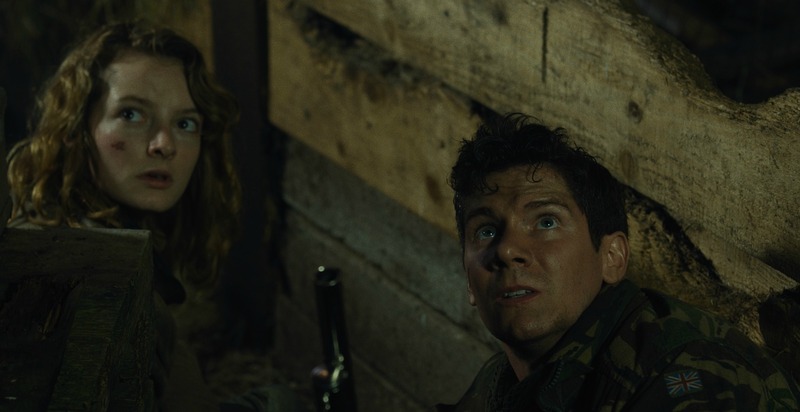 THE QUIET HOUR stars Dakota Blue Richards (“The Golden Compass,” “Skins”), Karl Davies (“Game of Thrones,” “Happy Valley”), Brigitte Millar (“James Bond Spectre,” “Harry Potter and the Order of the Phoenix” and British TV star Jack McMullen. 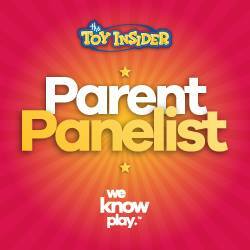 It is being distributed in the United States and Canada by Vision Films.